Discover the best of Florence during this 4-hour private walking tour. See the city’s famous landmarks such as the Duomo Cathedral, the Holy Cross Church, Ponte Vecchio and more as you listen to informative commentary from your guide about the history of the city. 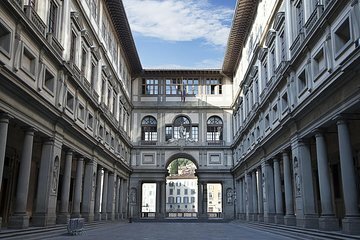 Then skip the long lines of the Uffizi Gallery for a guided tour of the museum and see masterpieces by Botticelli, Raphael, Giotto, and more.